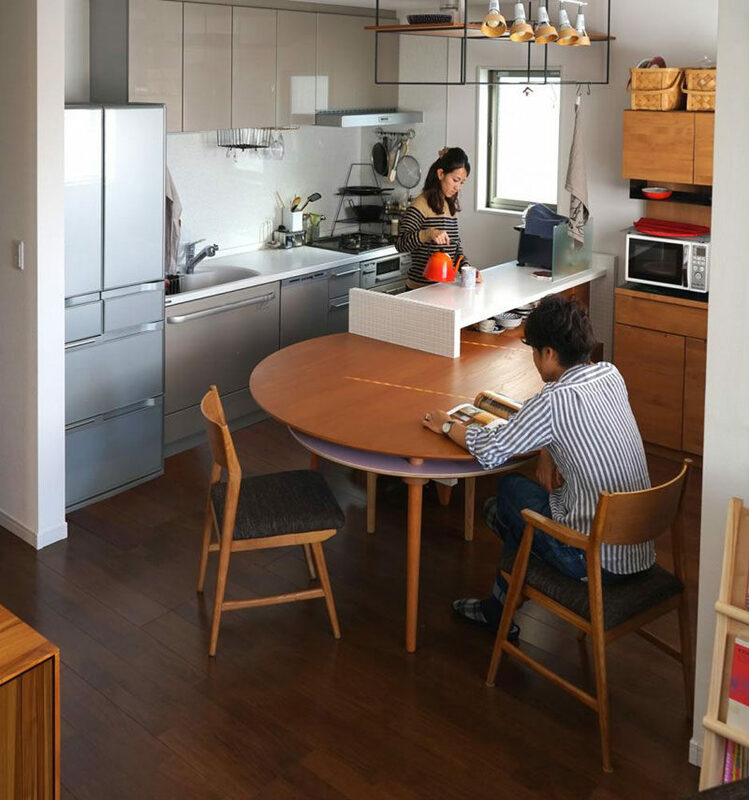 When you live in a small apartment or a tiny home, one of the things you usually have to sacrifice is a large kitchen. But just because you don’t have a lot of space doesn’t mean your kitchen has to be any less functional or stylish. Here are 14 examples of kitchens that make the most of their available square footage and look great doing it. 1. Light wood and simple white tiles keep this small kitchen streamlined with the rest of the interior, while stainless steel appliances and cabinets that go all the way to the ceiling make it completely functional. See more photos of this apartment, here. Designed by Jordan Parnass Architecture. Photography by Frank Oudeman and Sean Karns. 2. 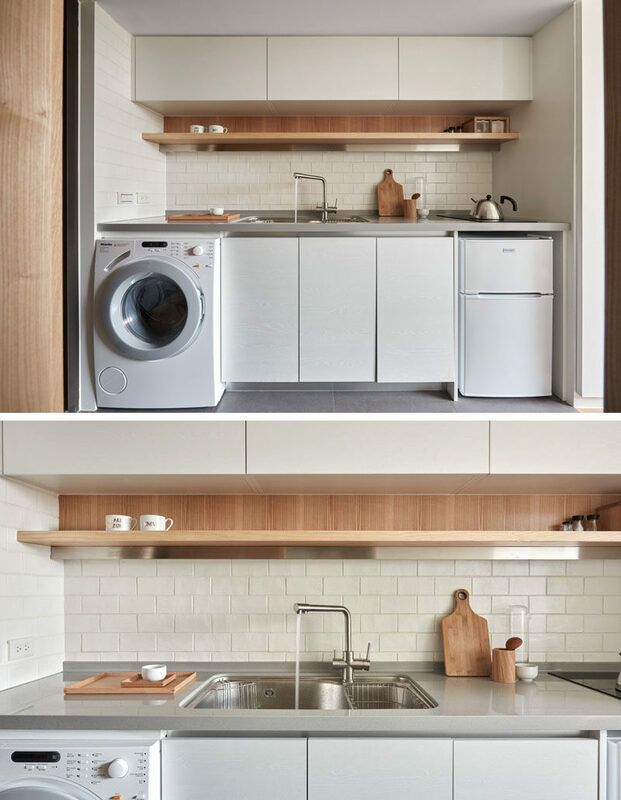 Even though this entire apartment is only 312 square feet, the tiny kitchen still manages to include all of the essentials and includes lots of storage space and a small area to eat at. See more photos of this apartment, here. Designed by 3XA. Photography by S.Zajackowski. 3. 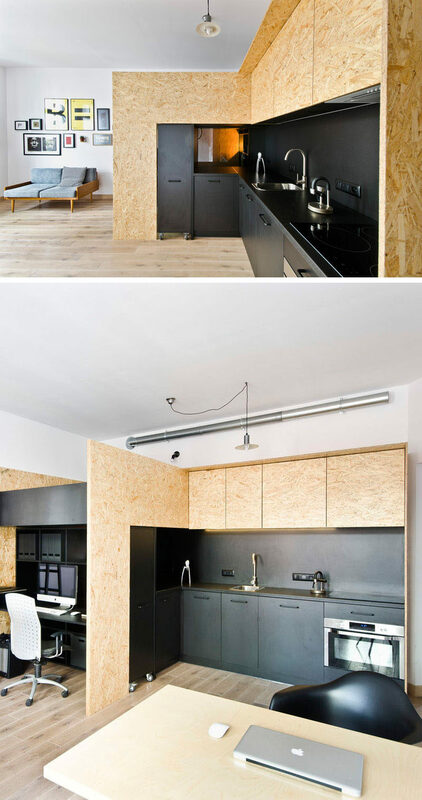 Half walls used throughout this apartment, including to separate the kitchen from the living area, help brighten the whole space and make the kitchen feel connected to the rest of the apartment. See more photos of this apartment, here. Designed by MAEMA Architects. Photography by Nicolas Aubert-Maguéro. 4. Plenty of storage space and all the essential appliances make this tiny kitchen completely functional and easy to maneuver. See more photos of this apartment, here. Designed by PLANAIR. Photography © PLANAIR. 5. 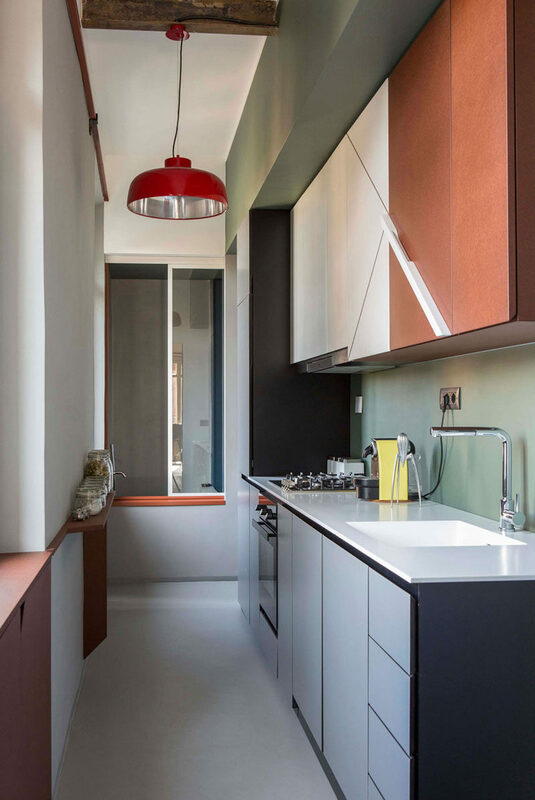 This small kitchen makes use of all available space, including the ceiling, counters, walls, and space under the cabinets. A custom designed table was also included that could extend when needed, and be tucked away when not in use. See more photos of this apartment, here. Designed by Yuki Miyamoto. Photography by Yuki Miyamoto. 6. 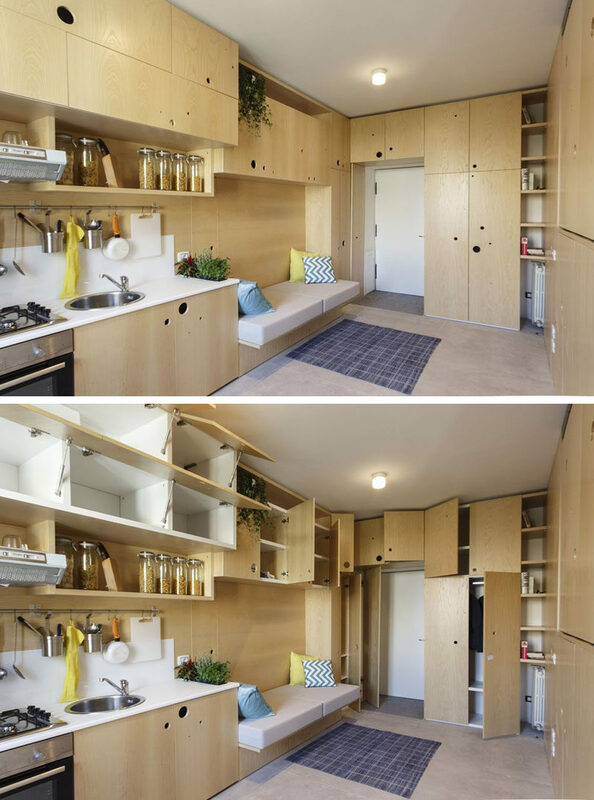 The kitchen area of this tiny home includes plenty of storage space to help keep things organized instead of being cluttered. 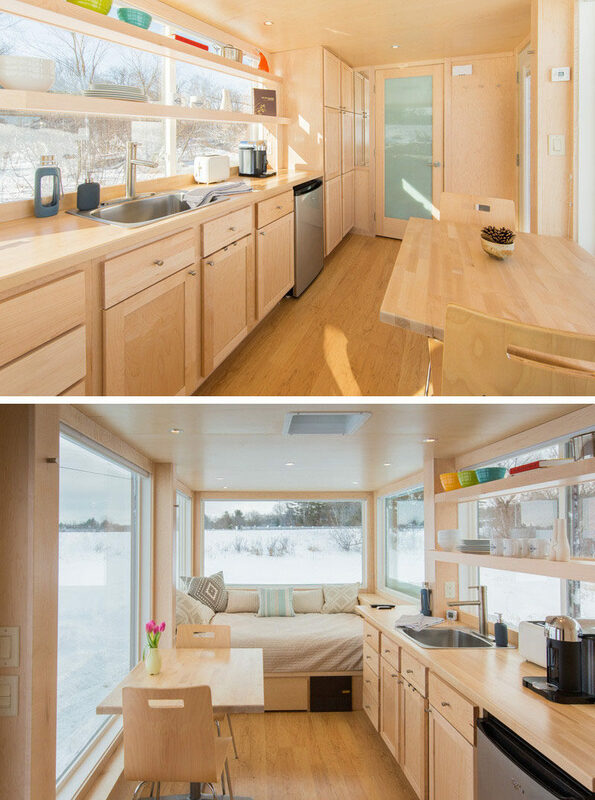 See more photos of this tiny home, here. Designed by ESCAPE Homes. 7. 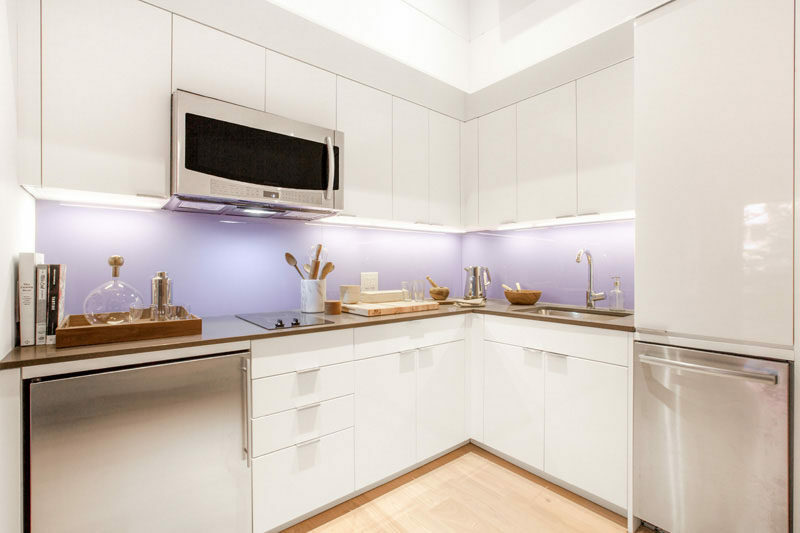 This bright kitchen may be small but it includes the essential appliances and ample storage to help keep it tidy and organized. See more photos of this apartment, here. Designed by Stage 3 Properties. Photography by Mekko Harjo. 8. 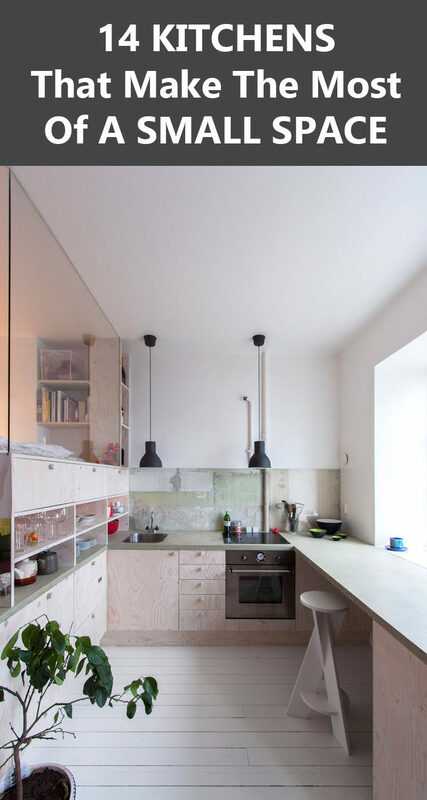 The mirrored backsplash of this small kitchen helps brighten it up and makes the space feel larger than it actually is. See more photos of this apartment, here. Designed by Sergi Pons. Photography by Adrià Goula. 9. 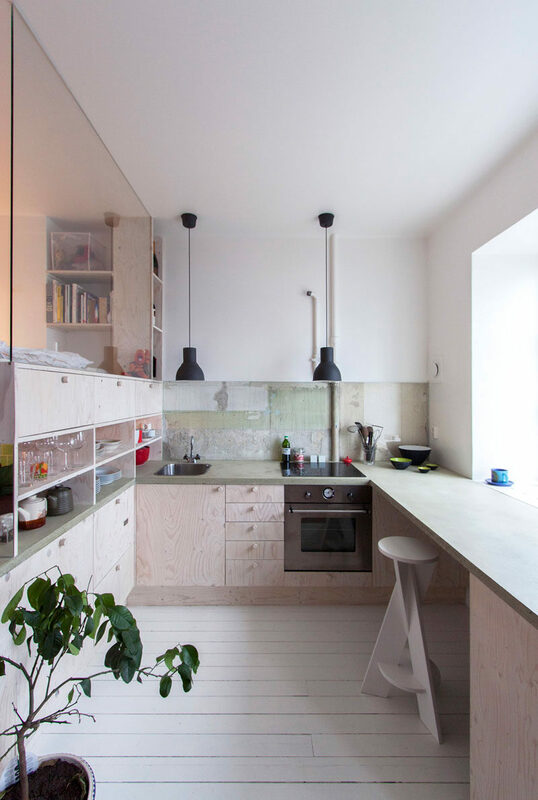 This mostly-white kitchen has wood shelves and countertops to break up the cabinetry. Angular open shelves have been used by the window so they don’t block the natural light. Designed by Pierre Petit of atelier.daaa. Photography by Meero. 10. This small kitchen houses all of the major appliances of the house but is still kept looking clean and bright thanks to all the white used throughout. See more photos of this apartment, here. Designed by A Little Design. Photography by Hey!Cheese. 11. Subtle colors and natural light coming into this small kitchen help make it feel bright, airy, and clean. Tall cabinets on one wall add storage and a small built-in shelf on the opposite wall provides a place for storing spices. Designed by SCEG architects. Photography by Serena Eller Vainicher. 12. 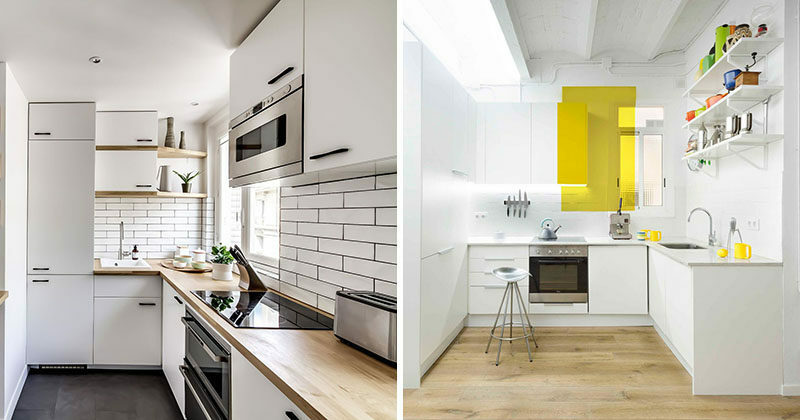 White walls and a rectangular pop of yellow help brighten this kitchen and make it feel larger than it actually is. See more photos of this apartment, here. Designed by Egue y Seta. Photography by Vicugo Foto. 13. 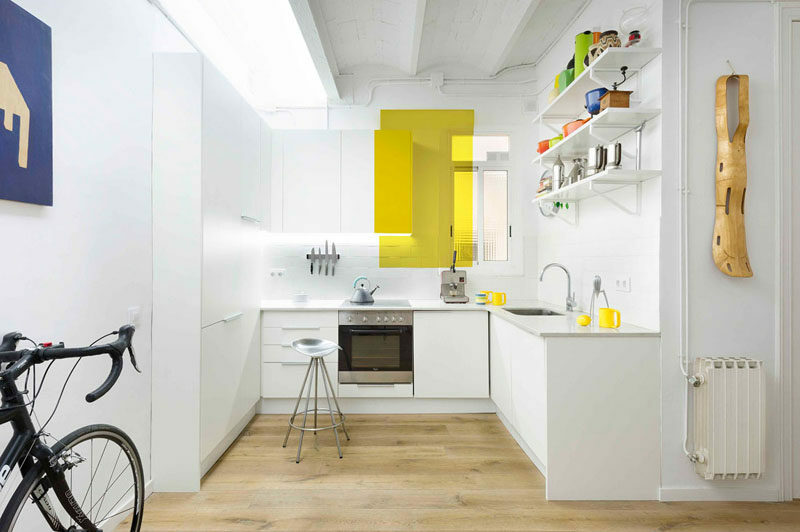 This small kitchen lets in natural light to keep it bright, functional, and easy to navigate. The kitchen counter also doubles as a place to sit and eat. See more photos of this apartment, here. Designed by Karin Matz. Photography by Karin Matz. 14. Matte black cabinets help to define this small wood kitchen that includes all the necessary kitchen elements, and its small size makes cleaning easy. See more photos of this apartment, here. Designed by mode:lina architekci. Photography by Patryk Lewinski.